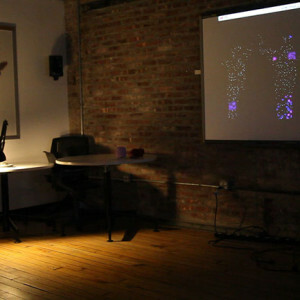 An interactive audio-visualization made in Processing. I love dancing. I’m not good at it (yet), but I love losing myself in music. My wish to make my dance moves look cooler than they actually are, made me think of the idea of Dance-ize. 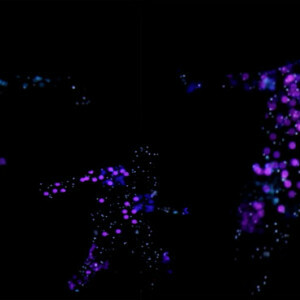 The visualization follows the music and “draws” itself on the silhouette of the dancer. 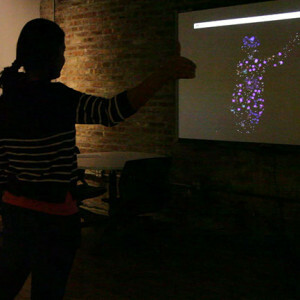 The image of the dancer is captured using an Xbox Kinect. 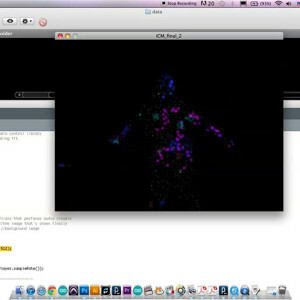 The visualization is made in Processing. The result- a mesmerizing experience of feeling the music through eyes along with the ears. It made me feel like I’m dancing without actually moving. Perfect for a shy dancer like me..